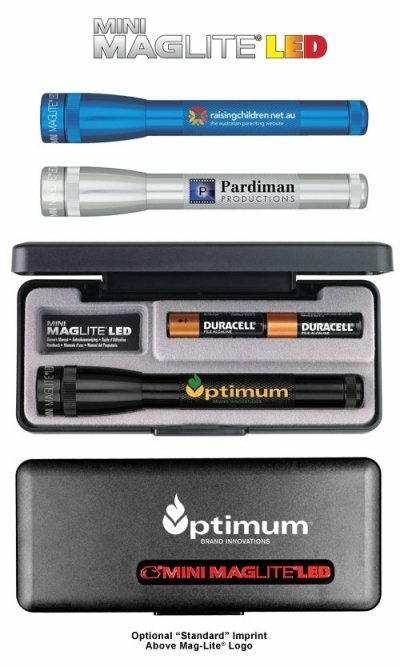 Below left to right are the Engraved Blue, Silver or Black and Imprinted Blue, Silver or Black MAG-LITE Flashlights. NOTE: Finish the presentation with optional One Color Box Imprint. 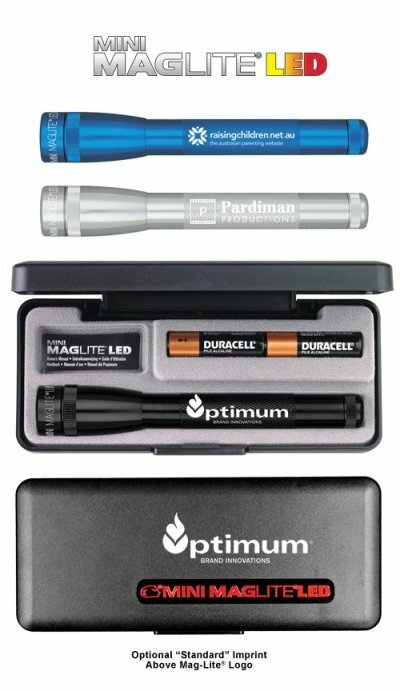 Add $55 setup and $.29 each presentation gift box.